You may start a business with Oil Expeller Machine or Oil Press Machine or small oil extraction machine. It’s a good option for setting up a small business. There is a good demand of mustard oil in the market all through out the year. With this Oil Expeller Machine you can expel oil from mustard seeds and sell it to the market and local customers. The Oil Expeller Machines are available in various sizes according to their producing power. With 4 bolts Oil Expeller Machine, you can expel about 40 kg oil per hour. With 6 bolts Oil Expeller Machine, you can expel about 60 kg oil per hour. With 9 bolts Oil Expeller Machine, you can expel about 90 kg oil per hour. It needs 10 to 15 horsepower motor and 440 volt to operate the machine. It needs 5 horsepower motor for Filter Press Machine. 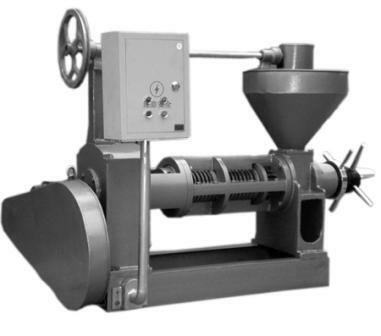 The price of the 4 bolts Oil Expeller Machine is approximately Rs.80, 000. The price of the 6 bolts Oil Expeller Machine is approximately Rs.1, 20, 000. The price of the 9 bolts Oil Expeller Machine is approximately Rs.1, 50, 000. And the price of the 10 horsepower motor is approximately Rs.20, 000. the price of the Filter Press Machine including motor is approximately Rs.55, 000. You can find many companies manufacturing a wide range of Oil Expeller Machine or Small Oil Extraction Machine. Their machine matches high technology electronic control.